When Microsoft first demoed Windows 8 at the Wall Street Journal's D Conference in June 2011, it was instantly obvious that it wasn't a Windows upgrade in the conventional sense. Instead, with its radically new, touch-centric interface, it was an attempt to reimagine the PC for the post-PC era. A wildly ambitious attempt — maybe even a visionary one. But for all Microsoft's power and influence over the PC industry, it was in no place to reinvent the PC single-handedly. Sure, it could write a new operating system. It could also make suggestions to its hardware-manufacturing partners, But it couldn't, you know, try to build the PC of the future. 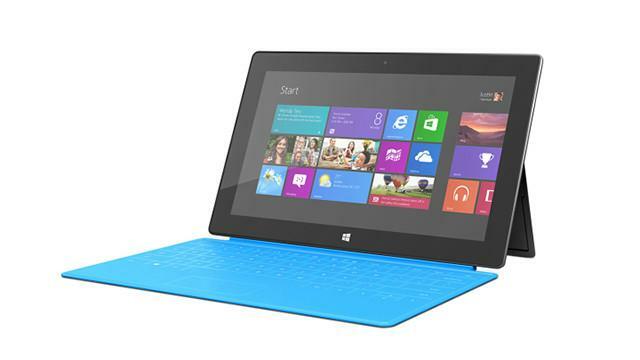 In June of this year, the company unveiled Surface, a pair of tablets it designed from scratch. (One, Surface with Windows RT, runs Windows RT, the version for devices based on ARM technology; the other, Surface with Windows 8 Pro, uses full-blown Windows 8 and isn't due until early next year.) They're iPad competitors, and that's important. But they're also PCs — the first ones that Microsoft has created on its own in its 37-year history. As such, they're the clearest possible expression of where the company thinks the PC should go. Surface for Windows RT goes on sale at Microsoft Stores and some temporary pop-up retail outlets, and at Microsoft.com, this Friday. It starts at $499 for a 32GB model: the same opening price as the current full-sized iPad, but with double the storage. Microsoft provided me with a unit for this review, and I've been using it for a little over a week. If you were excited by Surface based on its unveiling in June of this year, I think there's a good chance you'll be excited by the shipping product. And if the idea left you skeptical — well, you probably won't be won over by this initial incarnation. At that June Surface event — and then at a smaller press briefing at its Redmond, Washington, headquarters last week — company executives spent so much time lavishing praise on their own design choices and technical innovations that I wondered if they'd somehow convinced Apple's Sir Jonathan Ive to tutor them. It turns out that much of the self-laudatory hoopla wasn't wildly off base. The Surface hardware is indeed a beautiful piece of work, one that's worthy of comparison to Apple's designs even though many of Microsoft's specific choices are distinctly un-Applelike. Its slate-colored magnesium case, manufactured using a process Microsoft calls VaporMg, is really, really nice. It's good-looking, it's sturdy and it helps keep the weight down — Surface is only slightly heavier than the iPad at 1.5 pounds, even though it has got a substantially roomier 10.6″ screen. Microsoft also says that the case is pretty much scratchproof, though you might want to be careful about tossing the tablet in a backpack: I noticed that the Windows logo on the backside of my review unit began scraping off almost immediately. Surface has a kickstand — a fold-out flap on the back, which, when used in conjunction with a keyboard cover I'll talk about in a bit, lets you use the tablet like an undersized laptop. The care that Microsoft poured into it shows: When it's closed it's flush with the rest of the case and when it's open it keeps the tablet perfectly stable. And the hinge has a luxe feel, reminiscent of the high-end car door Microsoft says was its inspiration. That 10.6″ screen has 1366 by 768 pixels; Microsoft used its ClearType technology to improve text display, and glued the touchscreen directly on the LCD, which makes for a thinner, less reflective display. At the Redmond press event, a Microsoft engineer argued that despite the lower resolution, the screen beats the iPad's 2048 by 1536 Retina display in some circumstances; he also said that people who are 45 and above generally can't tell a Retina screen from a lower-resolution one. My 48-year-old eyeballs have no trouble telling the difference between iPad Retina text and the Surface's ClearType — but overall, the Surface's screen is one of the best I've seen on a tablet. The screen, incidentally, is 16:9, an aspect ratio designed with Windows 8′s panoramic interface in mind. It lets you see more apps without panning, and is well suited to the feature that allows you to snap a widget-like version of one app on the side of the primary program you're using. Microsoft thinks Surface buyers will use the tablet mostly in landscape mode; it works in portrait orientation too, although the aspect ratio leaves it looking like a small-but-tall magazine. Surface has basic cameras on the front and back, as you'd expect from any $499 tablet. It also has a USB port and a MicroSDXC slot that lets you add extra storage, two features that add to its PC-like personality. Microsoft doesn't seem to be making a claim about battery life except to say that the tablet is designed for "all day" use, and in my time with it, it lived up to that vague claim. One minor nit about the hardware: I found that I needed to wriggle the magnetic power connector into place in a way I don't with Apple's MagSafe connectors or even run-of-the-mill, nonmagnetic ones. So that's Surface's basic hardware — not flawless, but darn nifty overall. If it ran Android, people might well conclude that it was the best Android tablet on the market. Despite the lack of an "8″ in its moniker, RT has precisely the same user interface as Windows 8. It has the colorful Start screen with auto-updating Live Tiles, each leading to an app or service. It runs the same bundled Windows 8-interface apps: Internet Explorer, Bing, e-mail, a calendar, a news app and more. Everything's touch-friendly and fluid. It's not the Windows we've known, but it's a good start on an interface that might carry Microsoft through the next couple of decades of computing. Like Windows 8, RT has the Desktop, an area that's essentially Windows 7, except without the Start button. As with Windows 8, switching back and forth between new Windows 8-style apps and the Desktop can be an oddly disjointed experience, as if you're teleporting between two very different planets with very little warning. On Windows 8, the Desktop has a huge saving grace: It lets you use any old-school Windows program. Windows RT, however, can't run them. They were all written for computers based on x86 (Intel) technology, and are incompatible with Surface's ARM processor. Anyone who's ever struggled to get work done on a tablet with a stripped-down office suite in a Microsoft Office world will appreciate certain things about Surface's Office apps. They support the official Office file formats perfectly and have industrial-strength features such as Word's revision tracking. If you plan to use Office much, you'll certainly want one of Microsoft's keyboard covers; the Touch Cover isn't included with the base $499 Surface, but a black model comes with the $599 version, and additional colors are available for $119.99 apiece. Snap one on, using the magnetic connector, and the Start screen automatically changes color to match — pretty stylish. The Touch Cover is super-thin and clicks on and off in a jiffy. (I did find that I occasionally had to remove it and reclick to make it work.) The keyboard's on the inside and draws power from the connector; there's no need to futz with Bluetooth or worry about charging it. The nonkeyboard side has a fleecy surface that feels great in your hand, and the whole thing folds back. When I first saw this cover in June, I kept an open mind about it. In fact, my mind was so open that I wondered if Microsoft had managed to produce a flat, one-piece keyboard that wouldn't leave many people pining for clacky mechanical keys. Actually, even at the June event, the company had tipped its hand: It also showed off the Type Cover, which is much like the Touch Cover except that it has discrete keys with real travel. If the Touch Cover had been a miracle, there wouldn't have been a need for the Type Cover. But if your benchmark is on-screen keyboards rather than conventional physical ones, you might be tickled with the Touch Cover. The keys are surprisingly spacious and there's no need to fumble through multiple modes to get to digits and punctuation. More important, moving the keyboard off the screen frees up the full screen resolution for whatever app you're using — a plus in all scenarios, and close to a necessity with the Desktop Office apps, all of which work better when they don't have an on-screen keyboard in the way. As with any unfamiliar input device, I got more comfortable with the Touch Cover as I used it. But if I were buying a Surface to use for anything other than extremely light productivity, I'd spring for the $129.99 Type Cover instead. It's also impressively thin, but comes infinitely closer to a notebook-like feel. Both the Touch Cover and the Type Cover sport a tiny touchpad. It's approximately the size of an unfolded matchbook, and I found it adequate in a pinch, but nowhere near as nice as a full-sized touchpad on a full-sized notebook. (With the Windows 8 experience, the bigger the touchpad, the better the experience.) With a cover on, I tended to do as much as possible from the keyboard, and simply touch the screen otherwise. With Office and a Desktop version of Internet Explorer as Surface for Windows RT's only major traditional-Windows apps, anyone who plunks down $499 or more for a Surface today will be largely dependent on Microsoft's Windows Store for software. That's the biggest gamble such buyers are making. 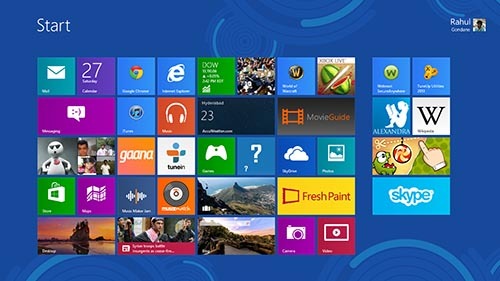 Windows 8 is launching with 5,000 apps in the U.S. version of the Windows Store, most of which should be available for Windows RT; they include name-brand wares such as Evernote, Hulu, Netflix, Microsoft's own Skype, TuneIn, a bunch of games and more. Many of the Windows RT apps I tried make smart use of the Windows 8-style interface. Compared to the 275,000 iPad-optimized apps in Apple's store, though, there simply isn't much there. If Surface's earliest adopters are pleased with their purchase a year from now, it'll be because the Windows Store's offerings got beefier fast; if they're nonplussed, it'll be because the selection remained too meager. Surface offers slick industrial design, an inventive interface, full-blown Office apps that haven't been truly optimized for tablets and two very clever keyboard options. If part or all of that proposition appeals to you — and you're optimistic about the Windows Store — this tablet is worth a look. For an audacious version 1.0 product, it's impressive. Now it's up to Microsoft to prove that it's serious enough about this PC business to forge ahead with Surface until it's impressive, period.